It's always nice to give a present with matching tag and card. With rubber stamps it's easy to do just that. 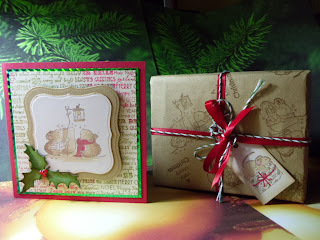 The stamps used are Penny Black Christmas Critters and Christmas Story. The die used for the holly is a Sizzix strip die Festive Greenery and the die for the image shape is a Spellbinder - Labels One. Also used are Distress Inks and Archival Ink Coffee. All of these items are available from J&C Creations. The image is stamped in Archival Coffee and coloured with Distress Inks taken from my craft sheet with a water brush. 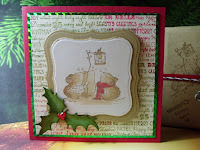 The image is stamped on a cream pearl cardstock and then cut out using Spellbinders Labels One. The second layer is also cut with this die set but using the next size up, this is cut from light brown card. Both layers are then edged with gold using an acrylic paint dauber from Ranger. This is then mounted on foam pads on a background stamped with Christmas Story in Forest Moss and Fired Brick Distress Inks. There is a small mat of green holographic card before mounting on a red card blank. The holly is cut from green card and edged with a darker green Distress Ink, then three red gems are stuck on to make berries. 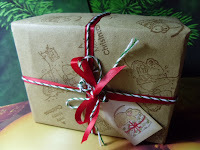 The parcel is wrapped in brown paper that has been stamped with the same Penny Black set in Archival Coffee. It is tied with red ribbon and green Bakers twine. 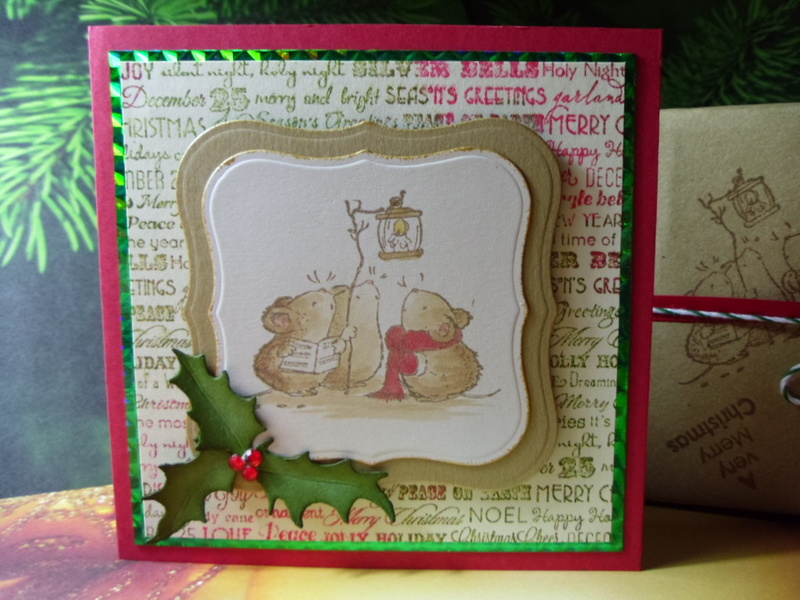 The tag is the same pearl cardstock as the card and stamped with Archival Coffee and coloured with Distress Inks. 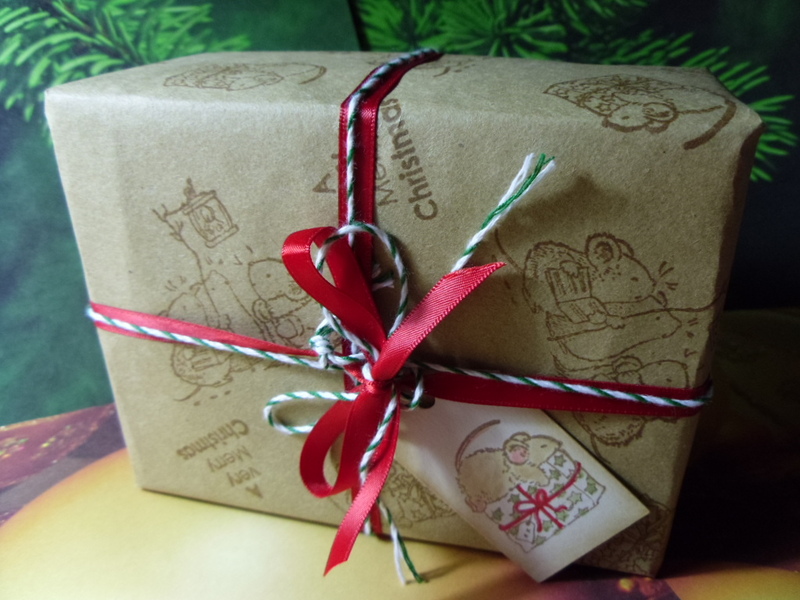 The little ribbon on the tag image is coloured with a red Sakura Stardust pen to give a little sparkle.